Published on July 29, 2014 in corruption, Crime in T&T, General T&T, People's Partnership and Politics. 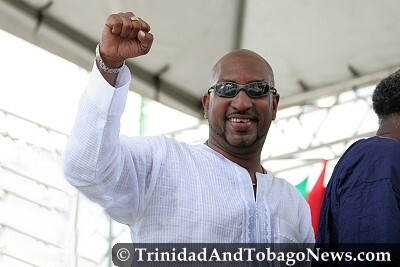 1 Comment Tags: Anil Roberts, Crime in T&T, Devant Maharaj, Life Sport, Lifesport, Politics, Stephen Kangal, T&T Govt. It would appear that the PP’s infamous and corruption-riddled Lifesport, the PNM’s $55 Secret Scholarship Programme and Manning’s dining, wining and meeting with the criminal fringe dubbed as community leaders all have a connecting thread of secrecy, favouritism, gaining electoral spin-offs and rewarding the criminal element to a lesser extent. Published on July 27, 2014 in Complaints, corruption, Crime in T&T, General T&T, Law, Media, People's Partnership and Politics. 7 Comments Tags: Anil Roberts, Crime in T&T, Life Sport, Newsday, Politics, Reginald Dumas, T&T Govt. Retired head of the public service Reginald Dumas says Sports Minister Anil Roberts should have resigned forthwith following the tabling of the controversial report on the Life Sport programme in the Parliament on Friday.